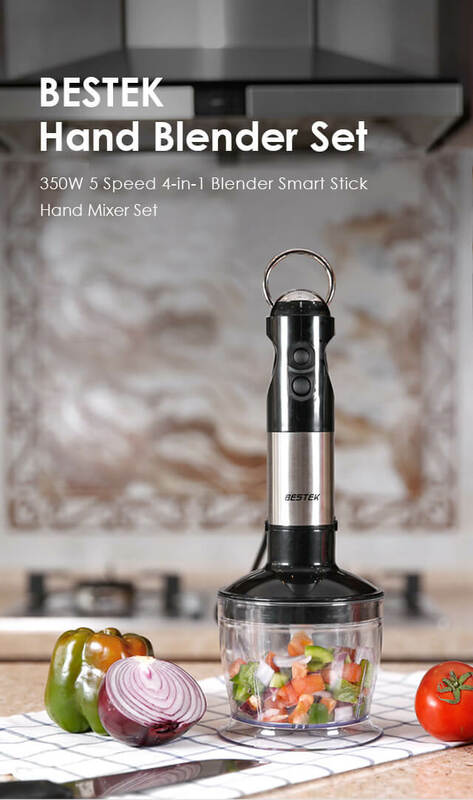 With 350W powerful motor, two speeds with 5 variable speed for multitasking, convenient to use and clean. 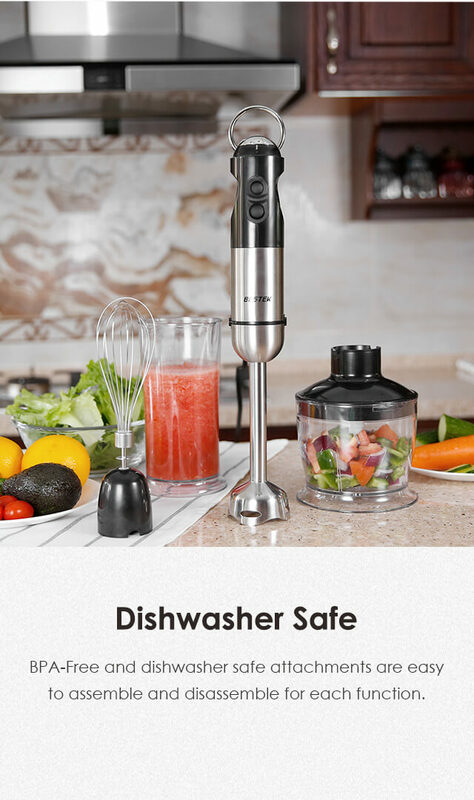 This product is super easy to clean, I bought 2 other hand blender before, but they are both difficult to clean. This one did a good job. Got this for my wife and she loves it so much. 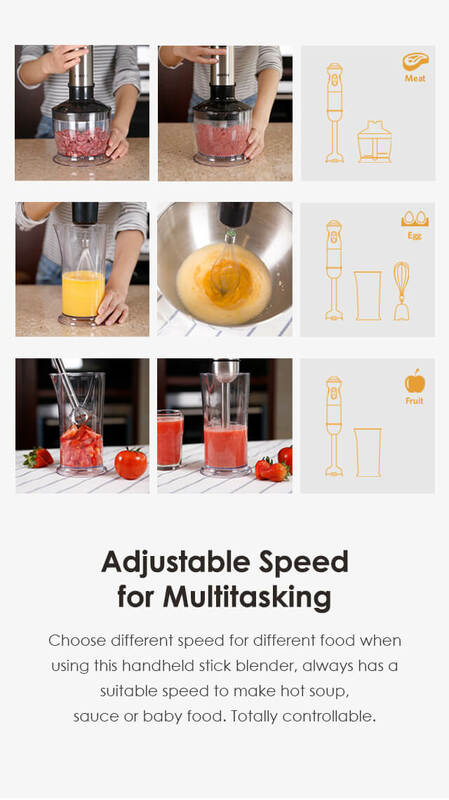 She uses it to make fruit juices almost every day. 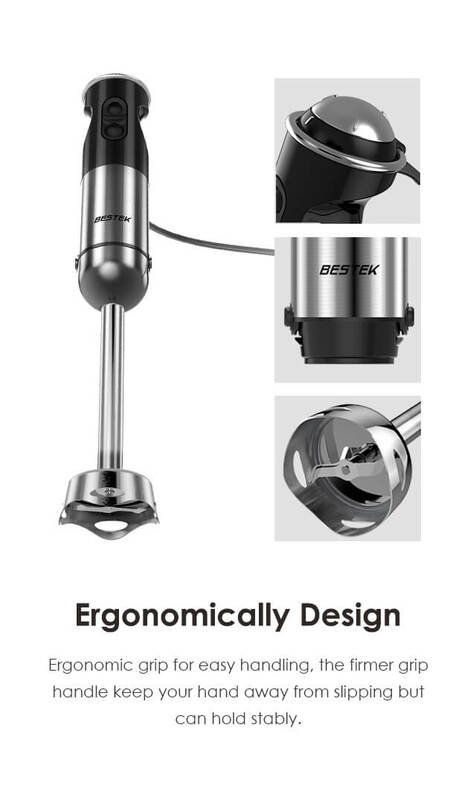 Thanks, Bestek. 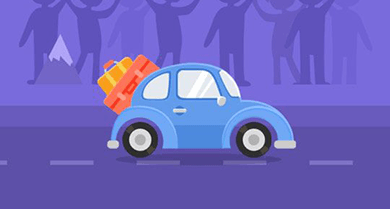 The operation is not noisy even at its highest speed, and there is still no issue with it after using for months. 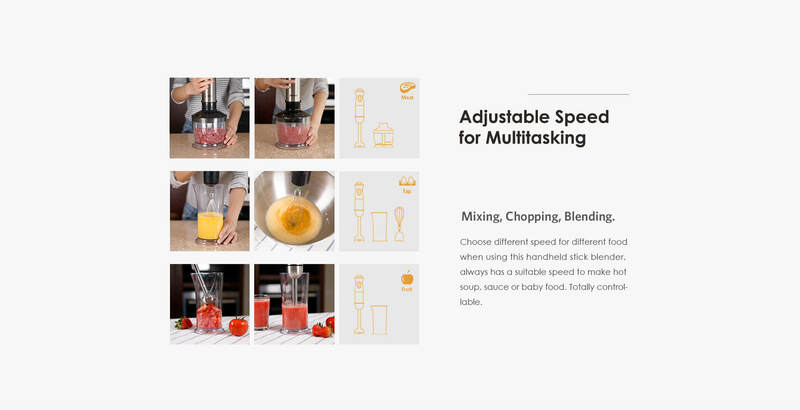 Easy to use and clean up is effortless compared to a traditional blender. What I like most about it is its versatility. 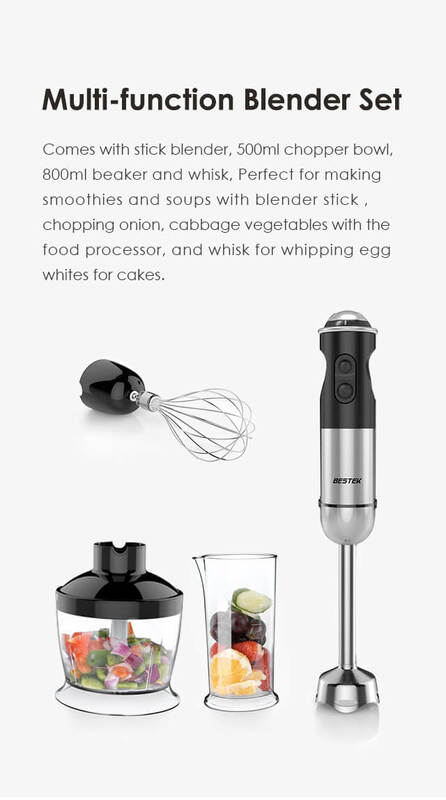 I don't need to pull out big, bulky kitchen utensils to mix, whipped or even make smoothies. 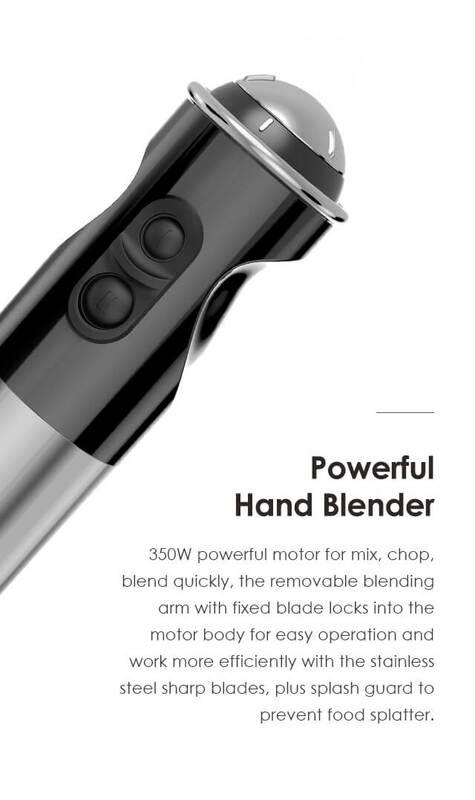 Good multi-function hand blender! I've made smoothies, chopped vegetables, whipped up cake batter and pureed soup. It's my first time using a hand blender and it's very convenient. I'm very happy with this purchase. 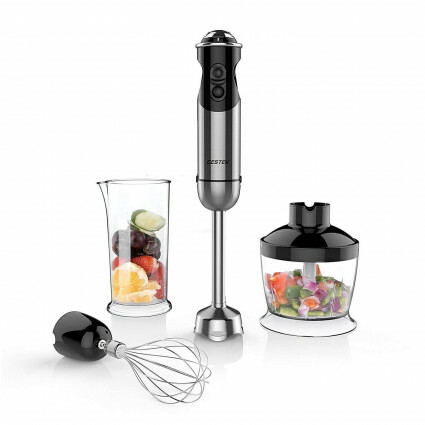 This hand blender is so compact and lightweight, easy and convenient for me to store, taking little space. The different speed setting is great, it can meet my different needs well. 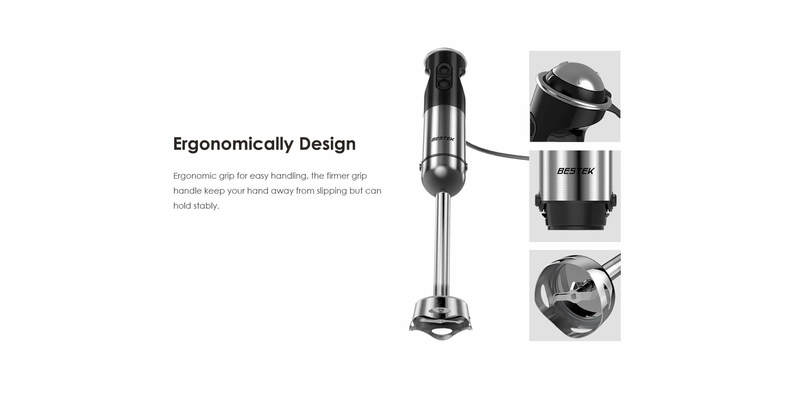 This hand blender is powerful enough to chip different fruits, very easy and convenient to use.